On the 16th of July 1945 the world changed forever. On the 16th of July 1945 the world changed forever. In an isolated desert plane outside Los Alamos County in the United States a small plutonium pit surrounded by a uranium sphere was squeezed via simultaneous and uniform detonations of conventional explosives to achieve criticality. The result was about 78 terajoules of destructive energy and the ushering in of the a new era in warfare that turned old concepts of power, diplomacy and in-fact perceptions of human rationality in on themselves. The nuclear weapons age had arrived. Code named “Trinity”, this was the first successful detonation of a nuclear device. Three weeks later the United States would make use of these new and unfathomably destructive weapons on the Japanese city’s of Hiroshima (August 6th) and Nagasaki (August 9th). 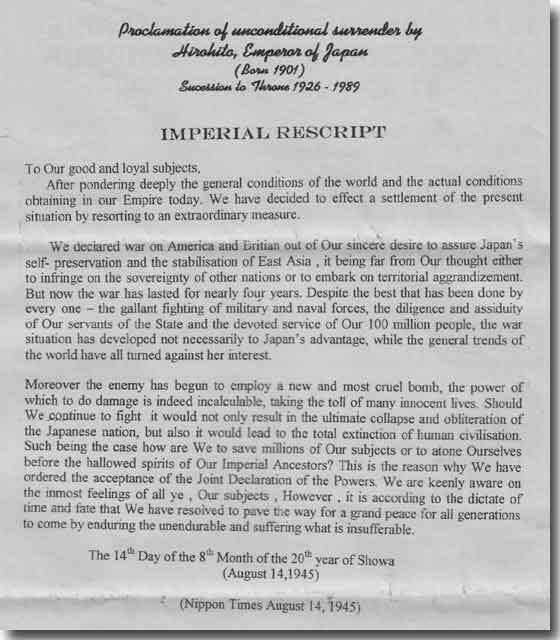 On August 15 the Japanese Emperor broadcast a pre recorded speech to Japan announcing that “the enemy had begun to employ a new and most cruel bomb, the power of which to damage is indeed incalculable” and that without surrender “would result in the ultimate collapse and obliteration of the Japanese nation”. Japan had surrendered and World War 2 came to an end. 70 years later and according to the International Campaign to Abolish Nuclear Weapons the current cumulative total of nuclear warheads maintain by both the United states and Russia totals 14,700. France and China maintain 300 and 250, respectively and Great Britain keeps 215. Pakistan has 100-120 and India has between 90-110. Both North Korea and Israel maintain nuclear warheads yet estimates vary widely on stocks. This week the world reflects on the origional creation of the first atomic bomb with a fortunate 70 years of hindsight. It must ponder the question whether the unleashing of the hidden energy within atoms for purposes of human destruction represented the first encore of mans “enlightened” and sad show that is his mastery of nature or was it simply a bleep in an inevitable evolution in which ethical disasters disappear in a future where progress in science and knowledge become one with progress in ethics. Robert Oppenheimer who headed the trinity project and is known as the “father of the atomic bomb recalled his thoughts watching the detonation. The Los Alamos Museum will be hosting original witnesses to the trinity test and shall be posting tweets of the individuals recollection throughout the day – 16th July. You can follow their twitter page here.